2015 Yanmar SV26 2.6 Tonne Mini Digger with quick hitch and 2ft Digging bucket (not pictured). Fully checked through and serviced, in exceptional condition throughout. it really is impossible to find another in this condition. 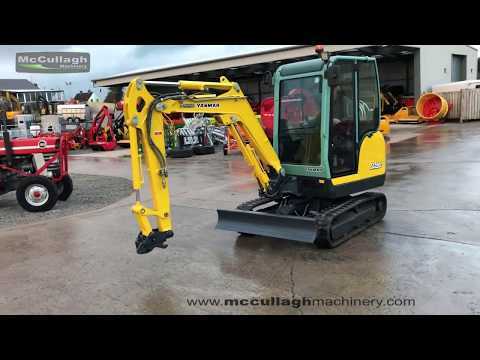 To make an enquiry about 2015 Yanmar SV26 2.7 Tonne Mini Digger call us on ROI 048 6634 8213 | NI 028 6634 8213.